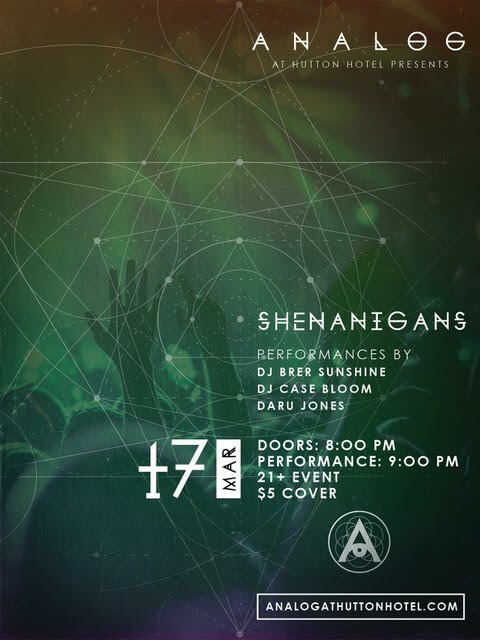 DJ Case Bloom & drum-phenomenon Daru Jones Official join up for ‘Shenanigans’ on St. Patrick’s Day. The duo will be spinning hip hop with live drums for a unique music experience you will be ‘lucky’ to jam along to all night long. DJ Brer Sunshine opens the night.